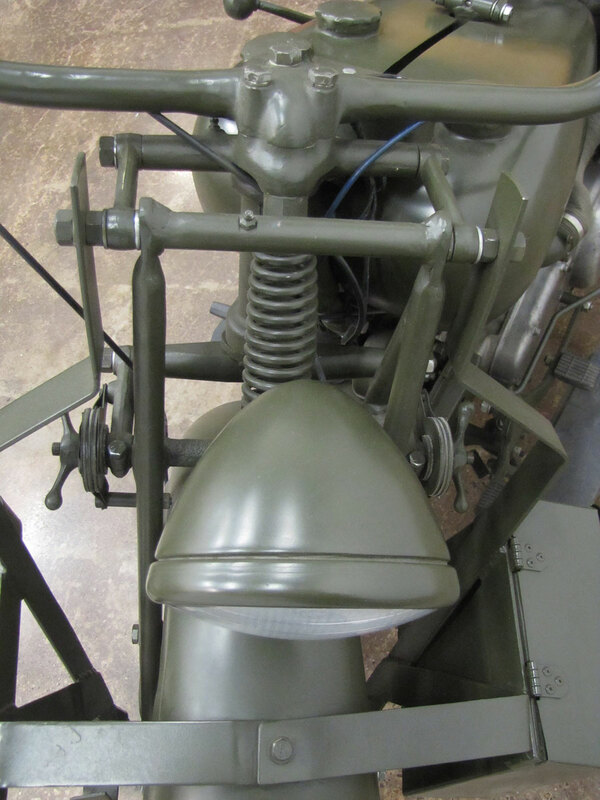 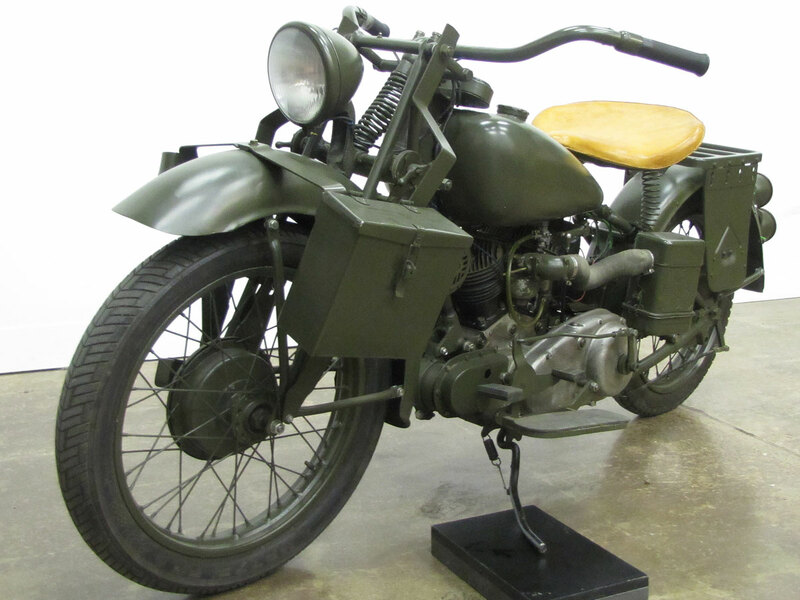 As World War loomed, the United States military set about drawing up specifications for a useful, universal motorcycle, and put its construction out for bid. 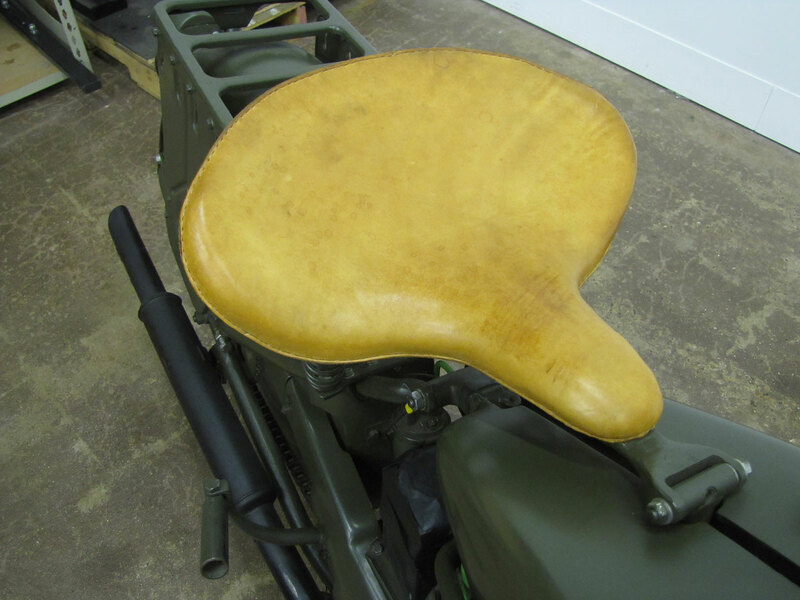 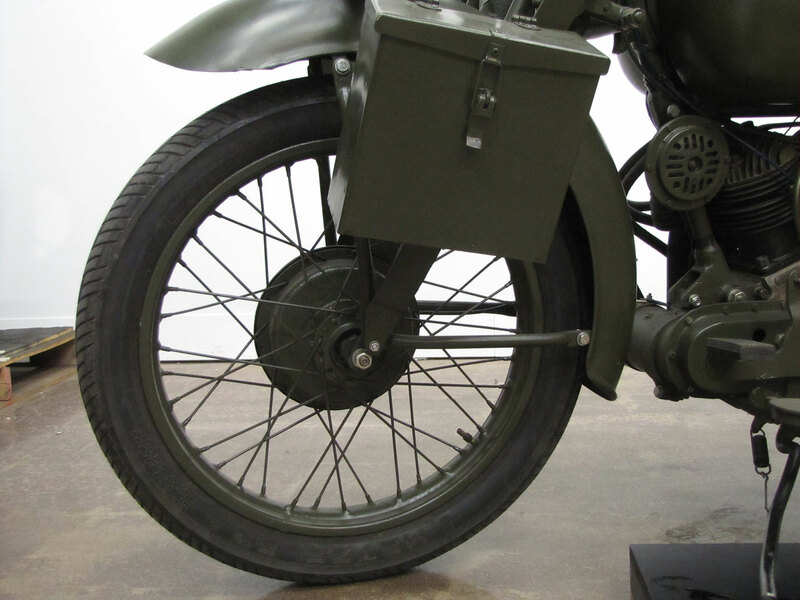 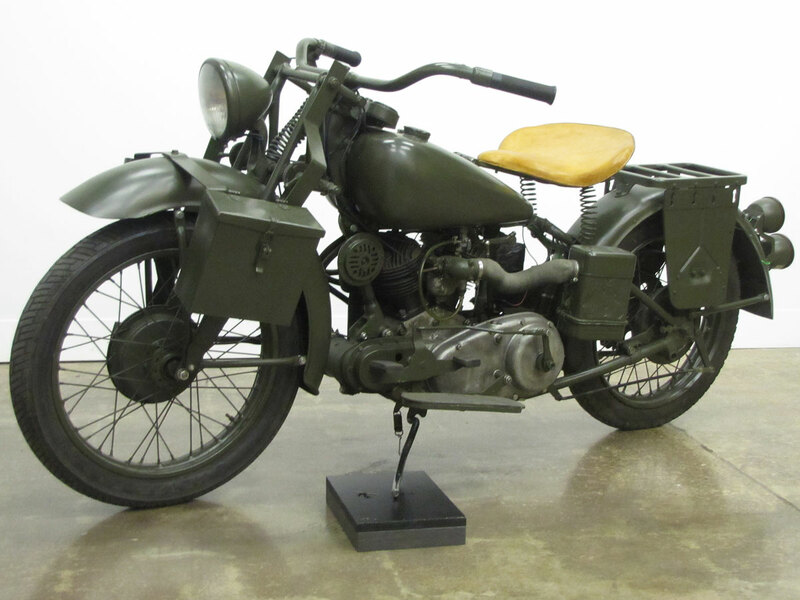 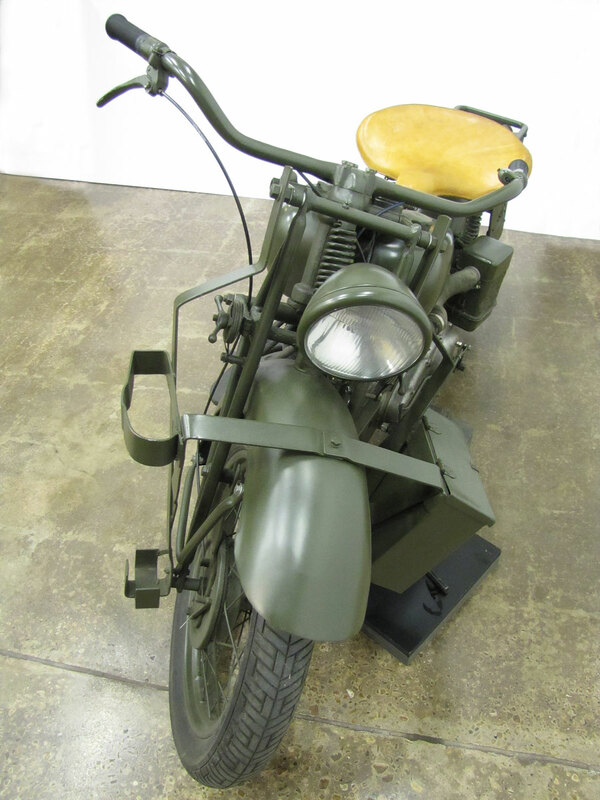 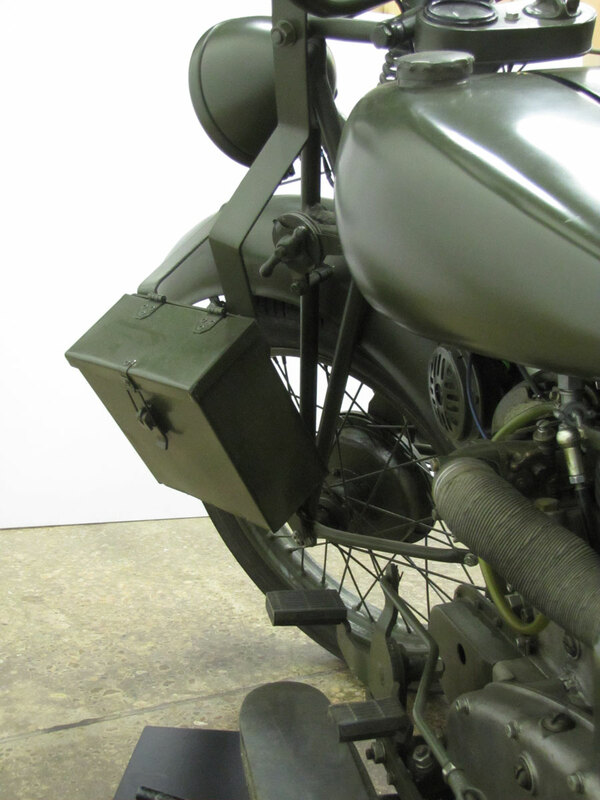 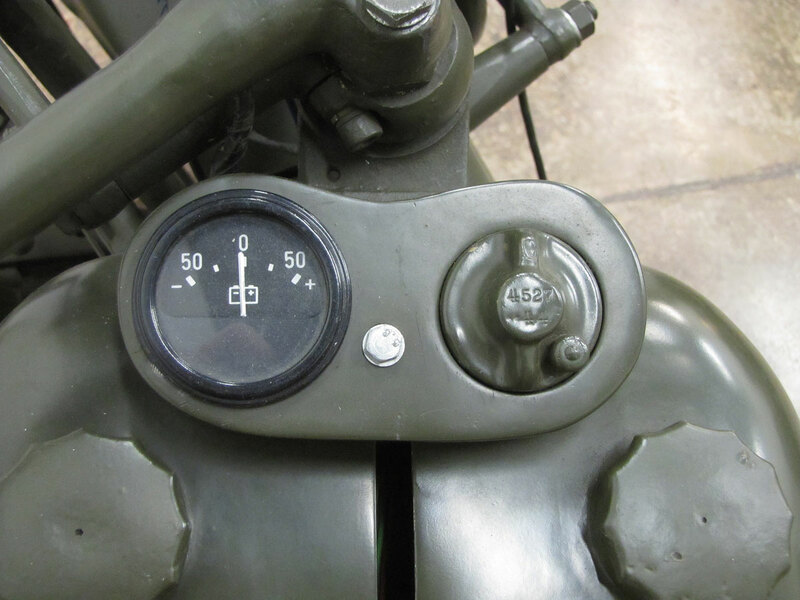 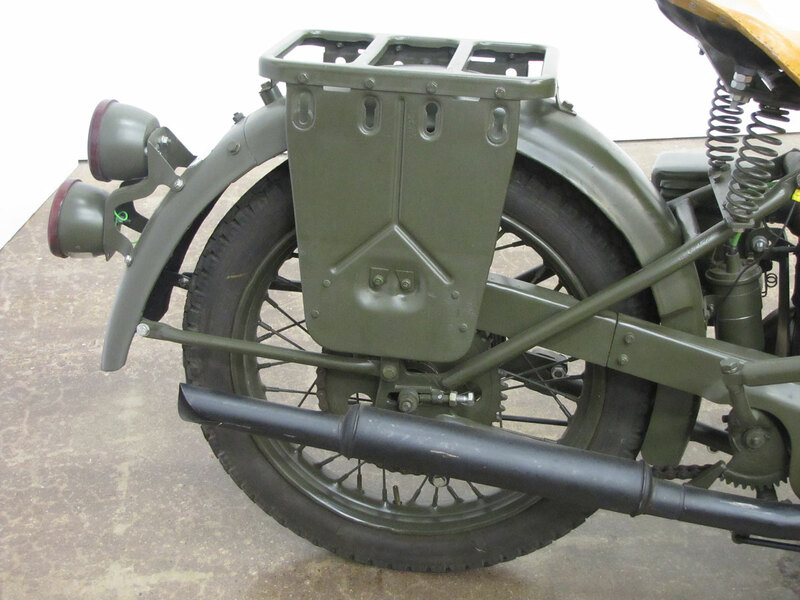 But though several manufacturers submitted bids, ultimately designed and manufactured motorcycles to sell, there’s little doubt that the US Military preferred Harley-Davidson’s WLA to any other brand or style of motorcycle in the WW II era. 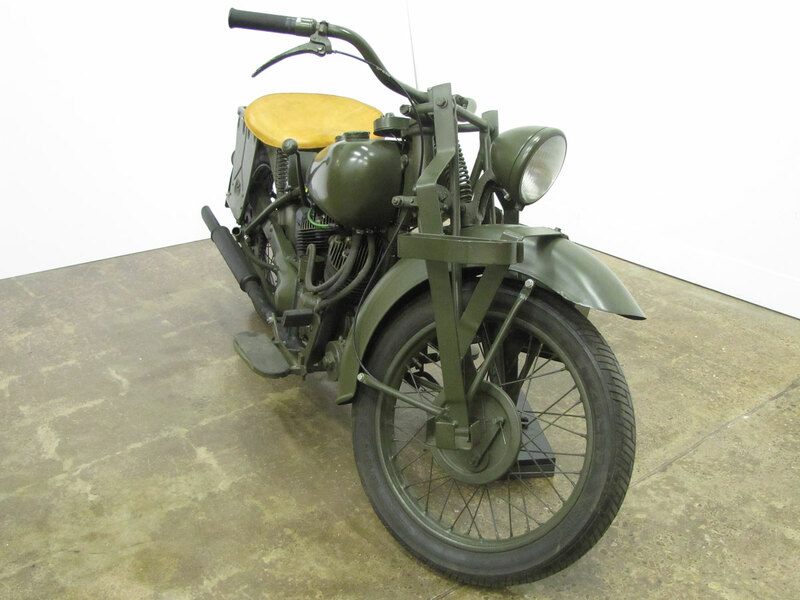 Offering several machines based on production bikes, Indian tried to compete but without much success. 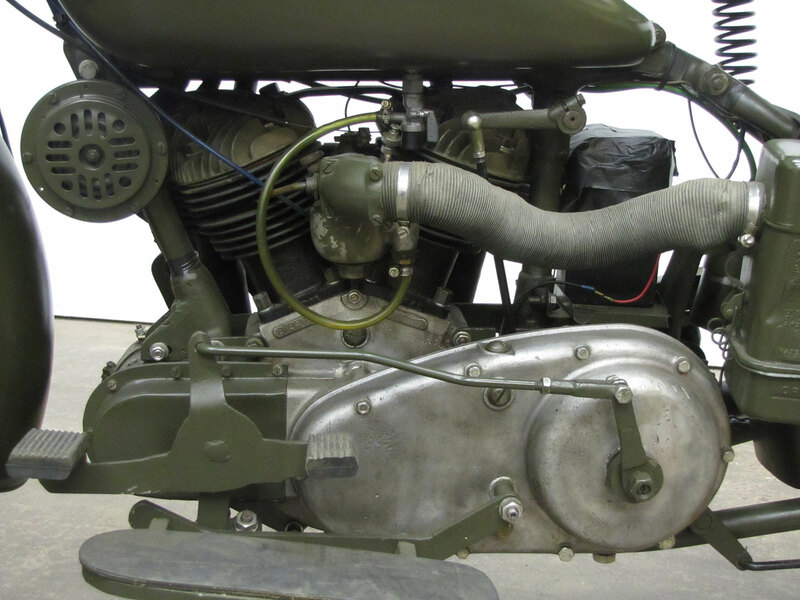 First try was with the 45 cubic inch (750 cc) Scout 640 – a head-on competitor of the WLA, but it proved to be too expensive and too heavy. 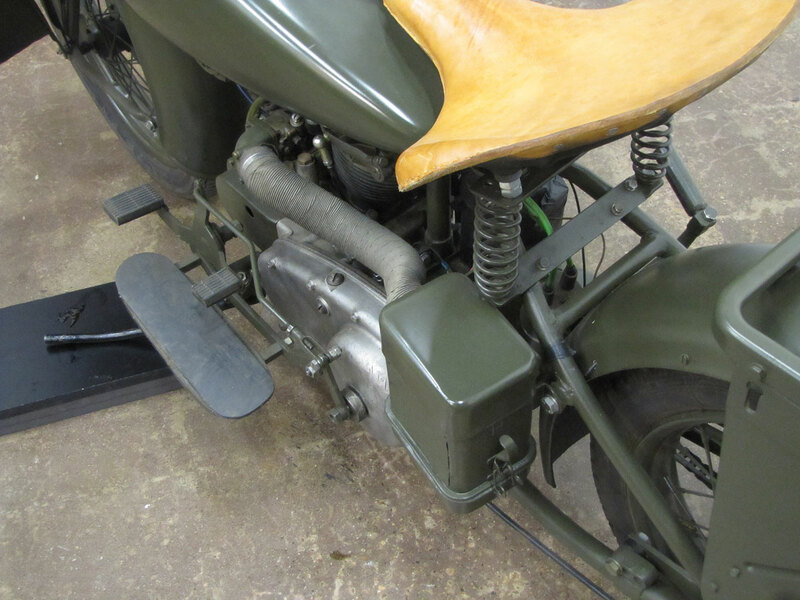 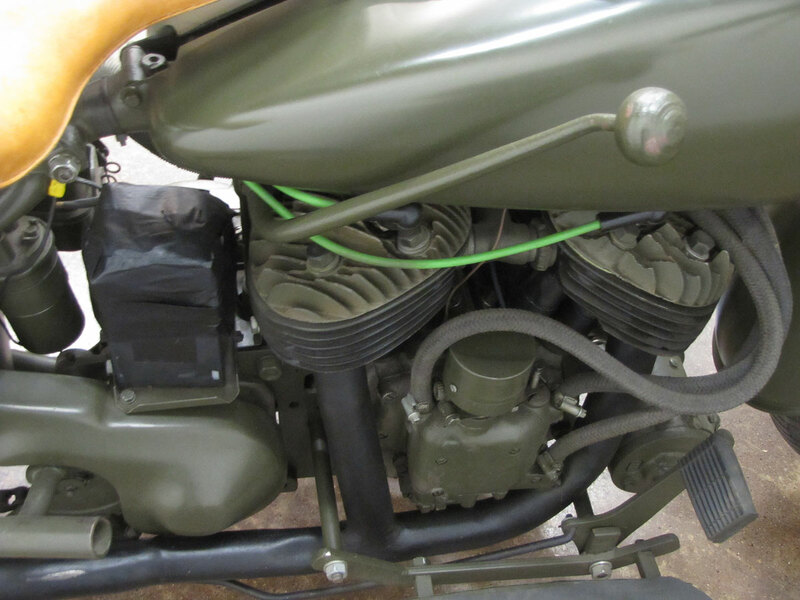 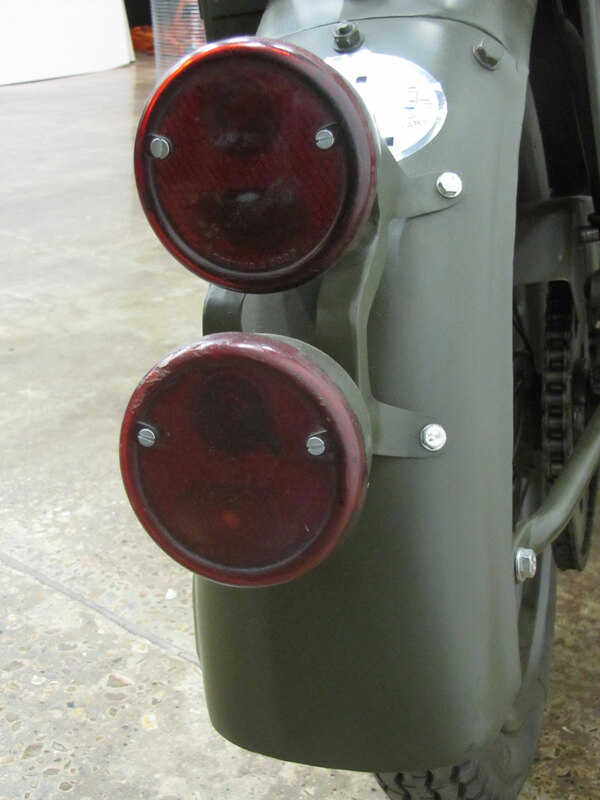 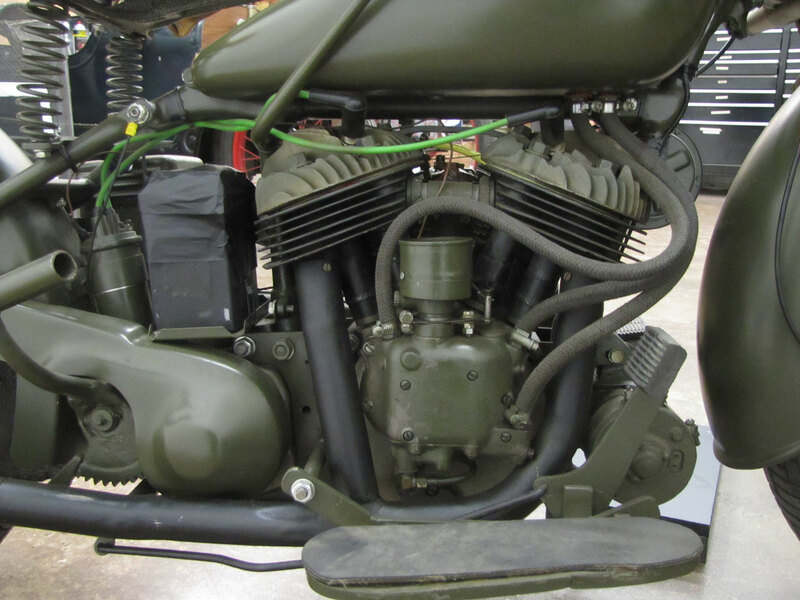 Indian also tried a 74 cubic inch (1200 cc) military version of the Chief, the 344, with no more luck. 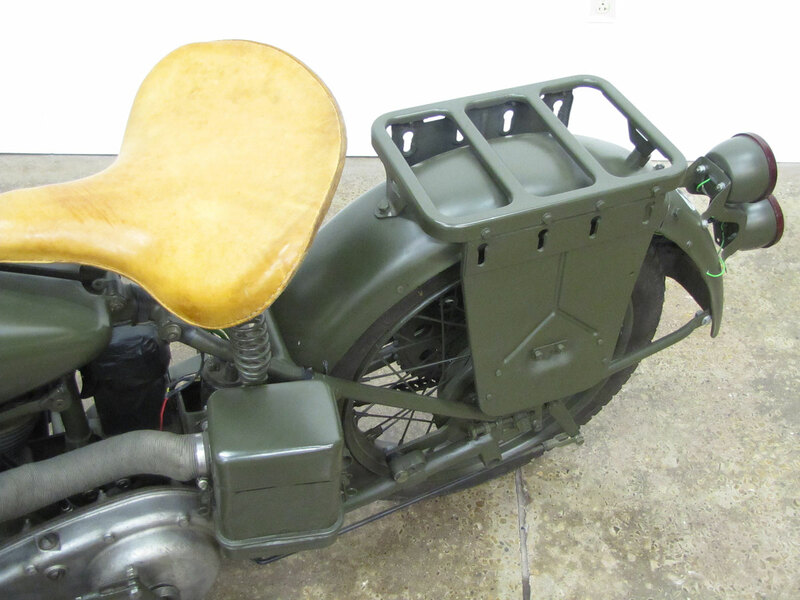 Then they offered the 741 based on the civilian Thirty-Fifty model. 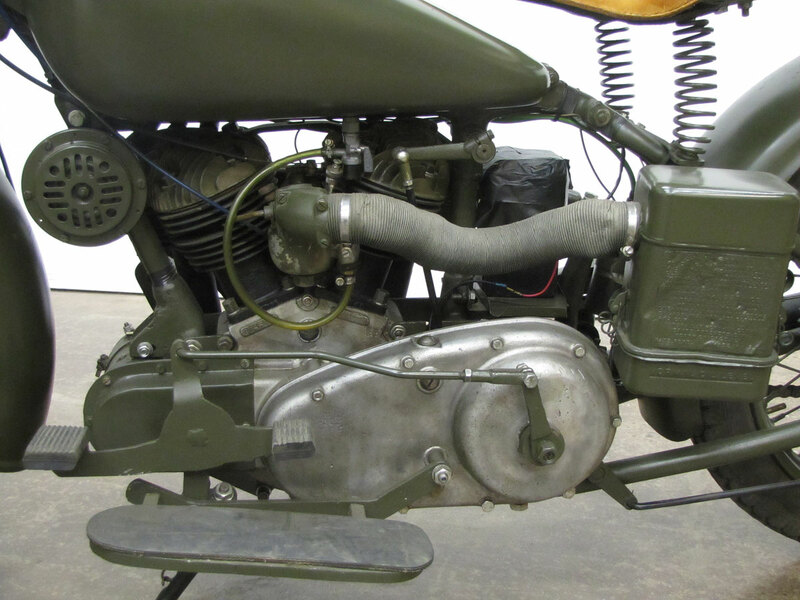 The US Army wanted 45 cubic inches, but this Indian was but 30.5 cubic inches, or 500cc. 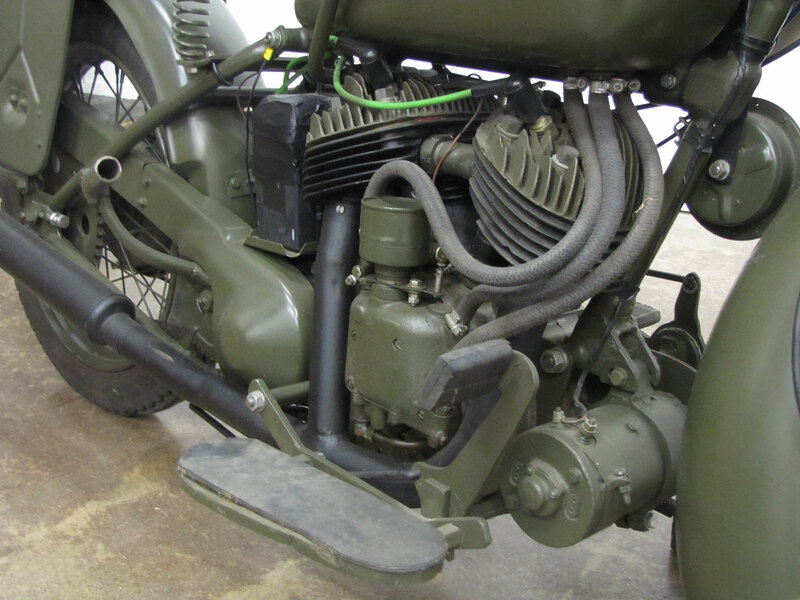 It was much closer in capacity to the British machines. 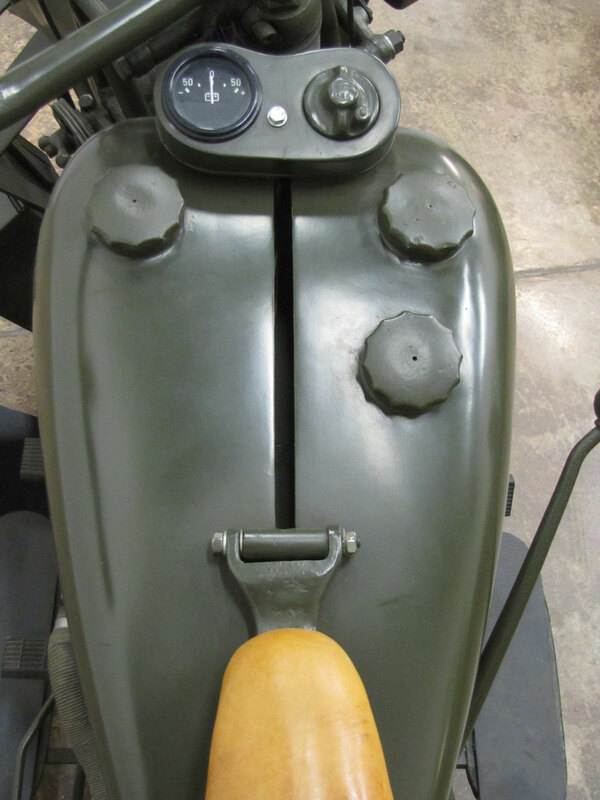 This was too small and too late. 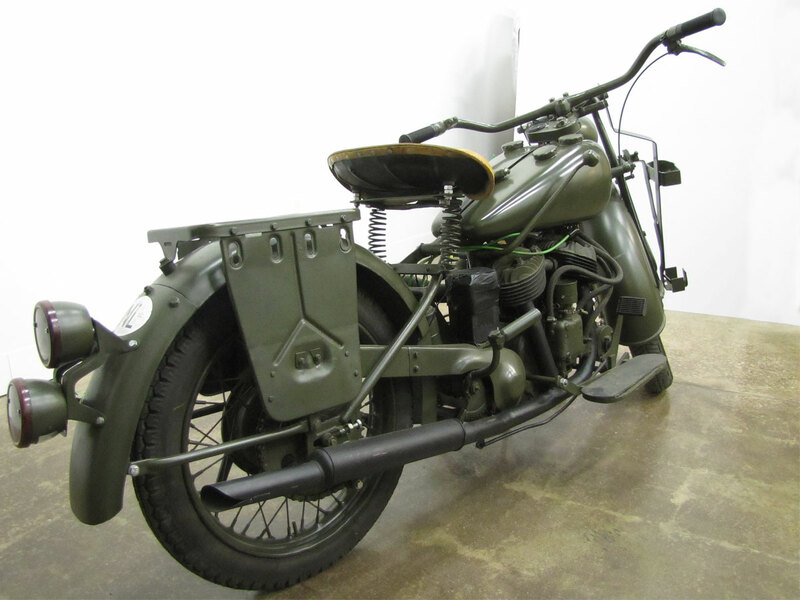 What 741 production there was went instead to allied forces in Canada and Great Britain where the 741 proved somewhat successful. 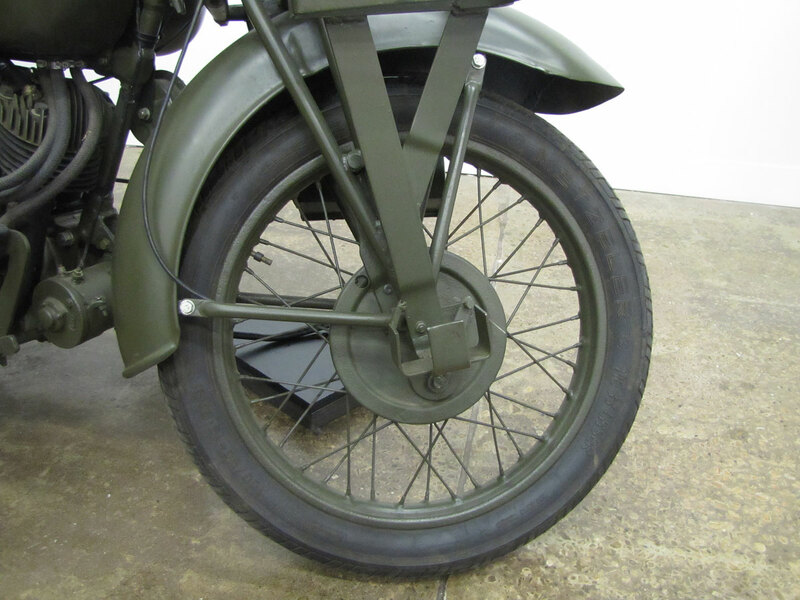 But Harley riders in the military had difficulty with the Indian’s foot clutch operated with the heel; Harley’s required the toe. 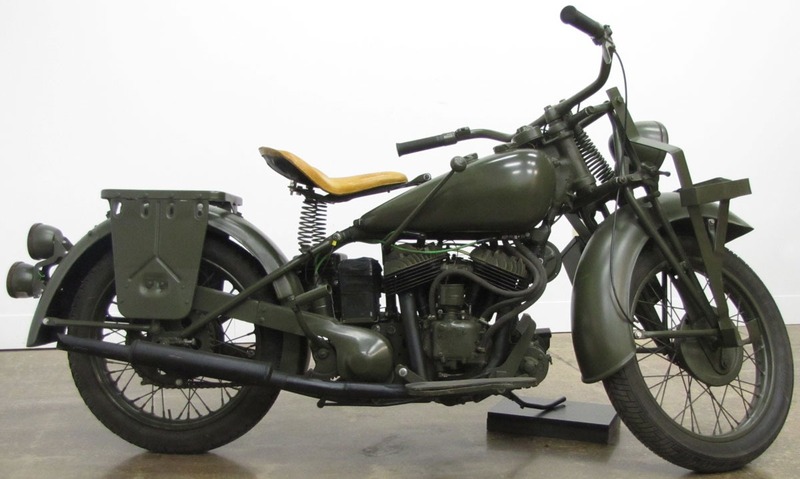 Quoted military Indian production was close to 10,000 units in 1942, the vast majority for US Army or use by allies. 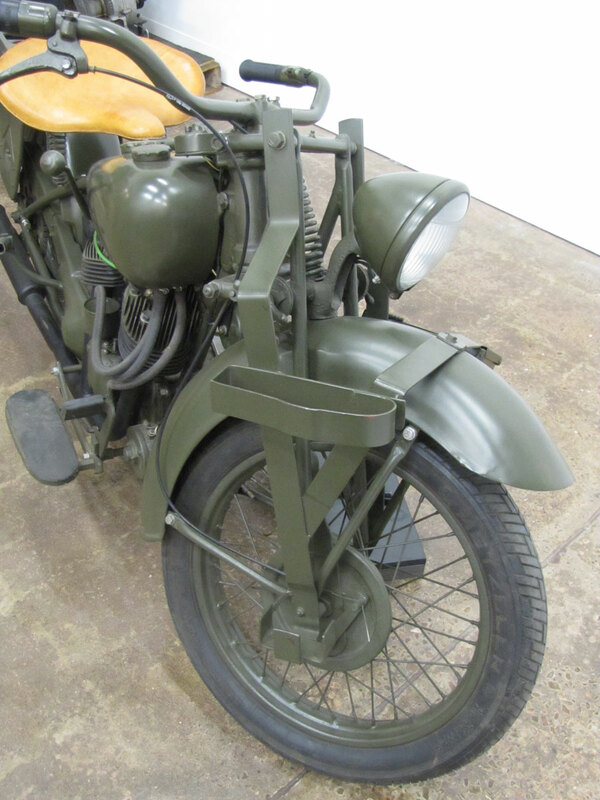 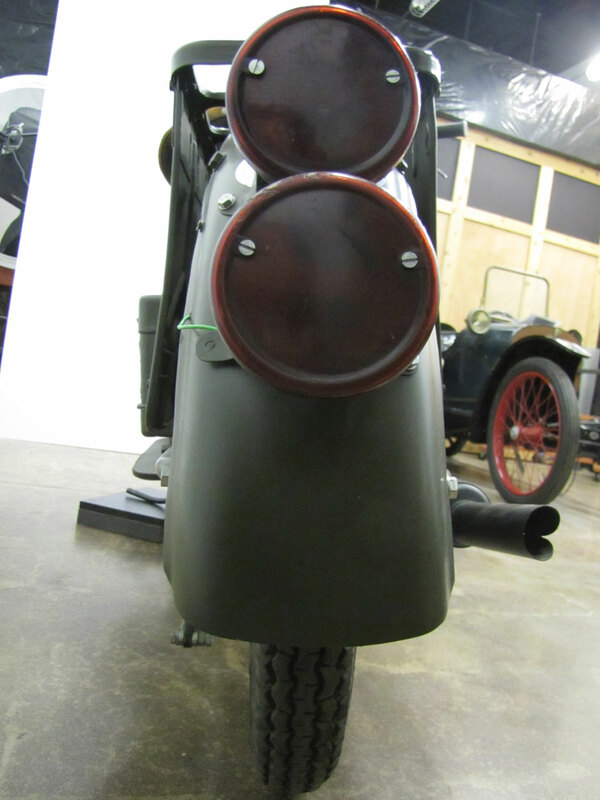 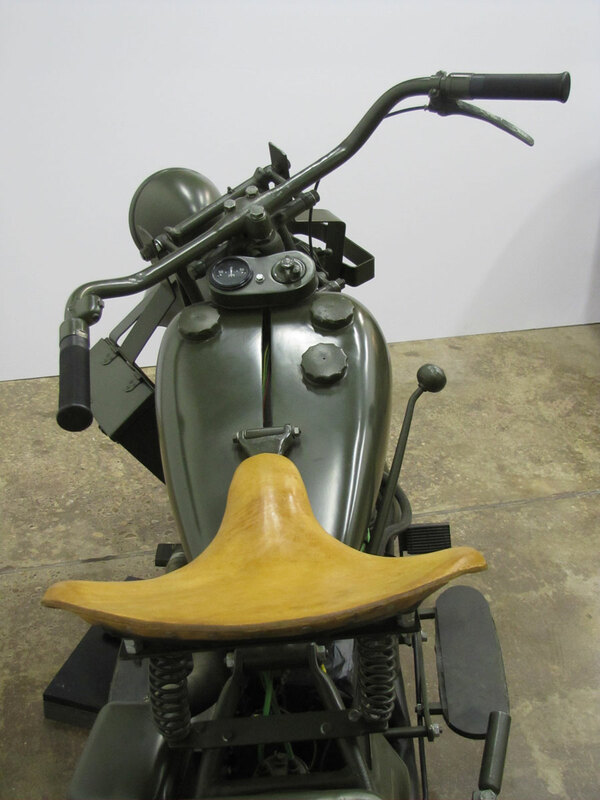 But a few Chiefs were hitched to sidecars, painted gray, and used by the US Navy. 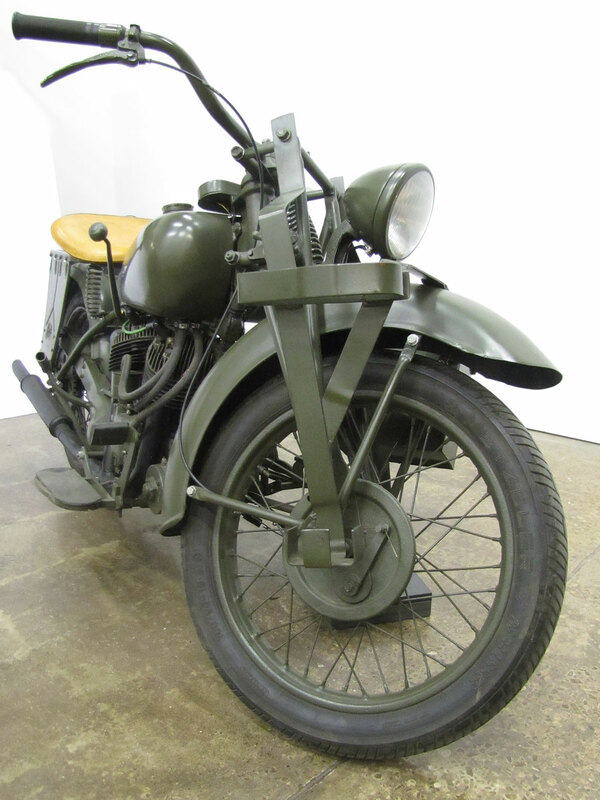 And about 1,000 Model 841s were built. 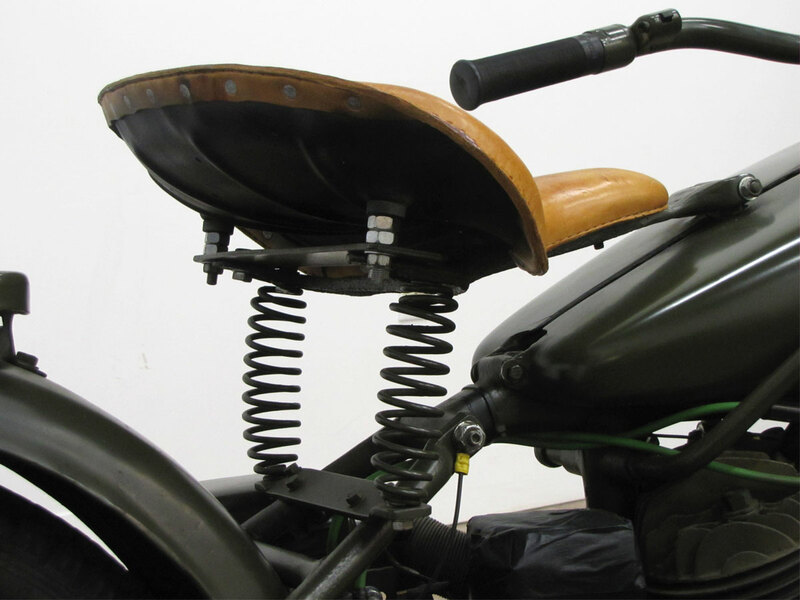 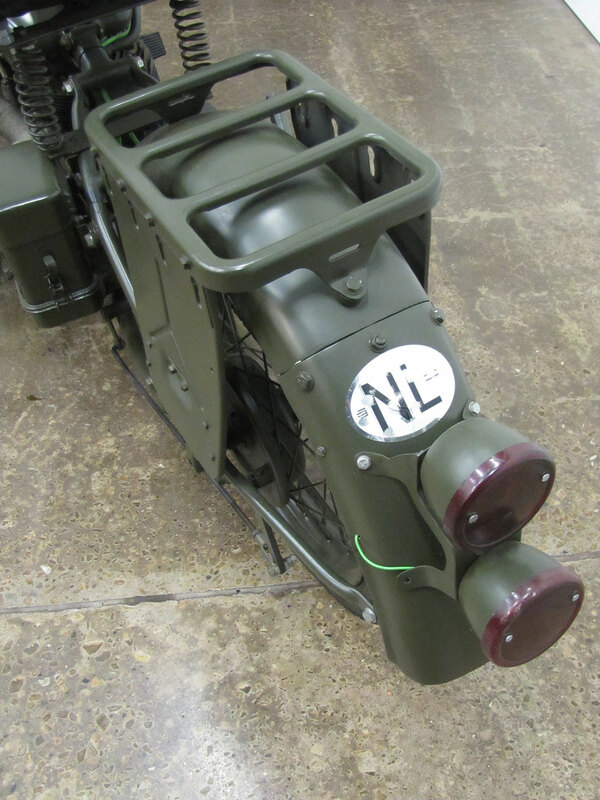 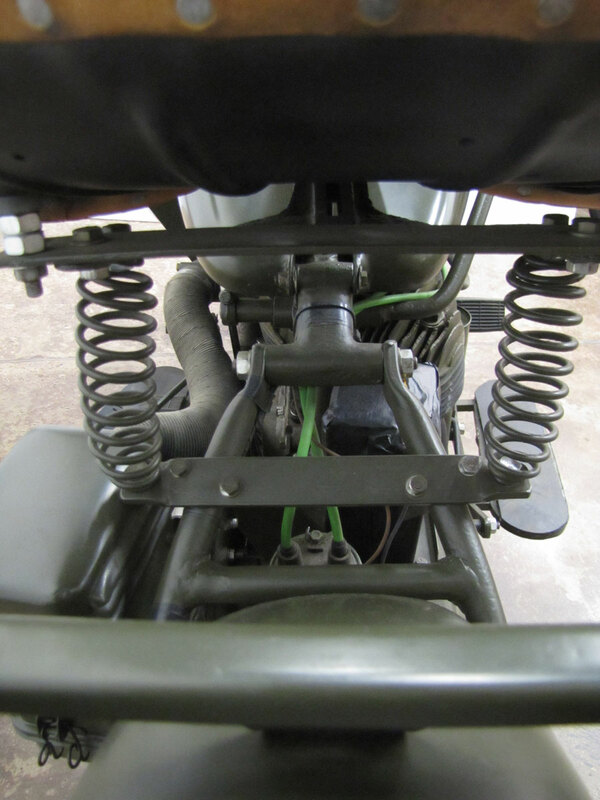 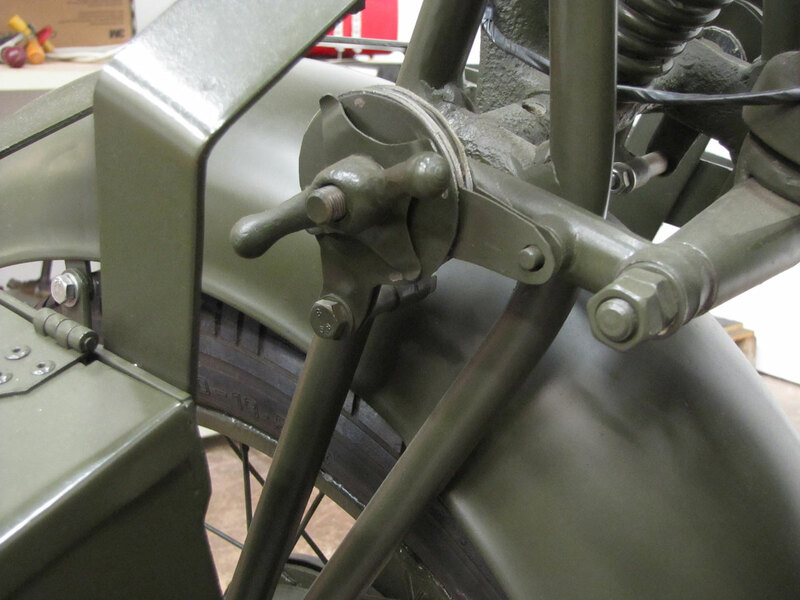 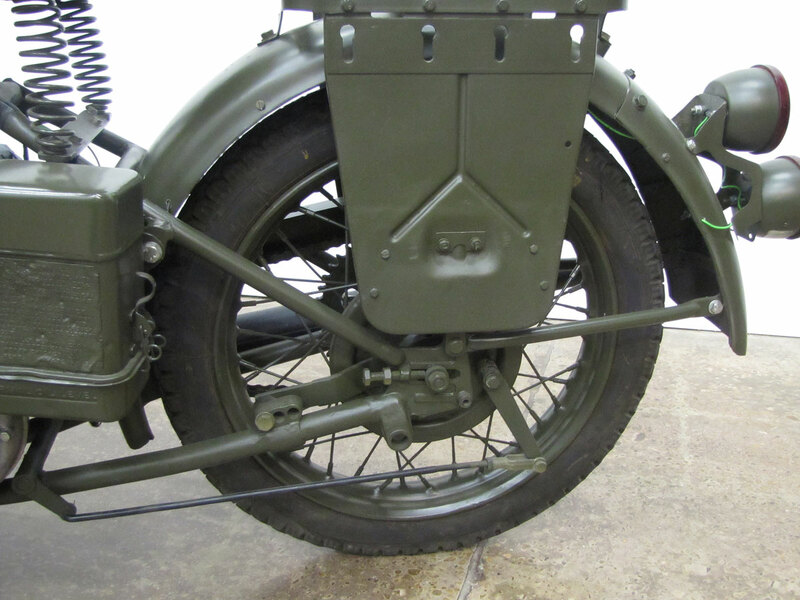 Similar in layout to a modern Moto Guzzi, they used a 90-degree v-twin mounted longitudinally with shaft drive, ostensibly to enable it in the desert sand of North Africa. 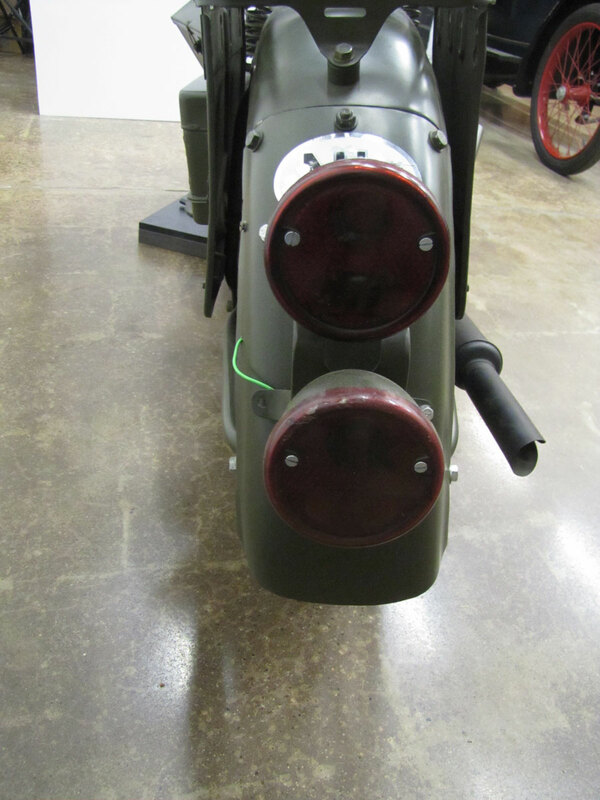 But it came too late. 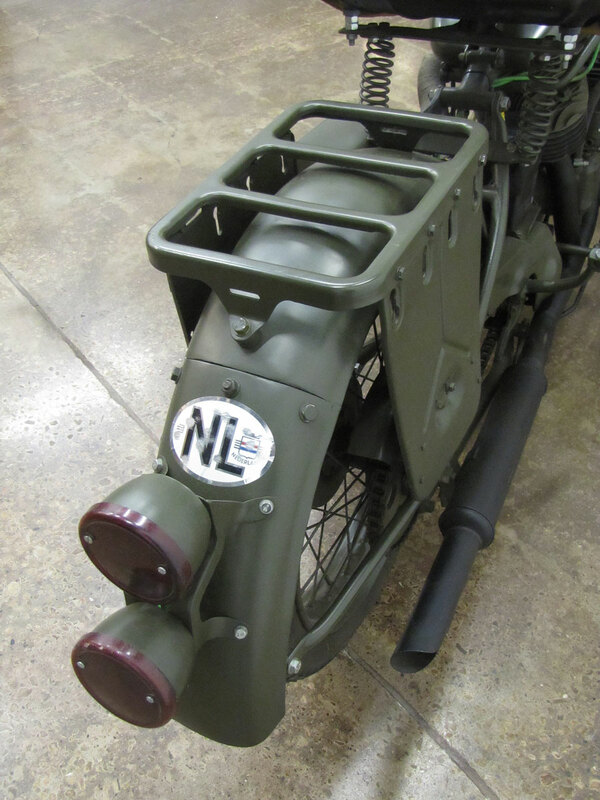 The Germans had been defeated in that theater already. 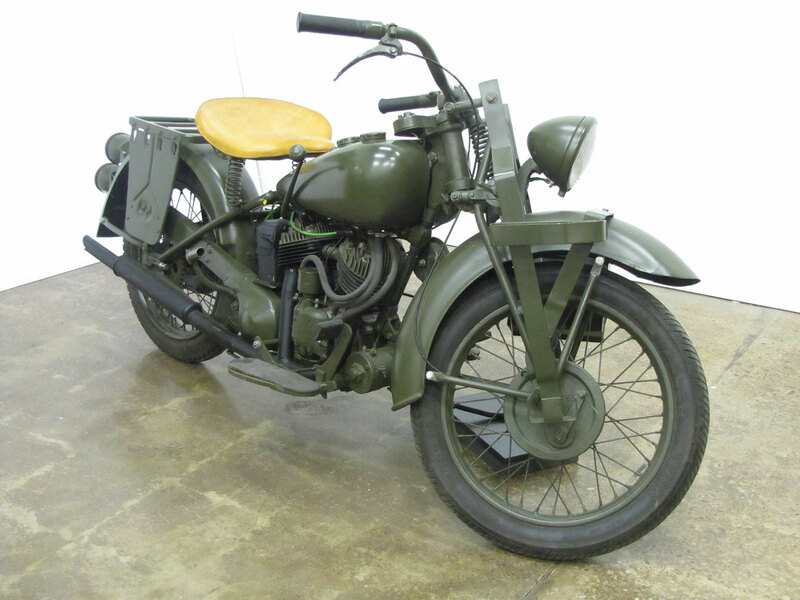 World War II military sales did nothing for Indian’s dire straights. 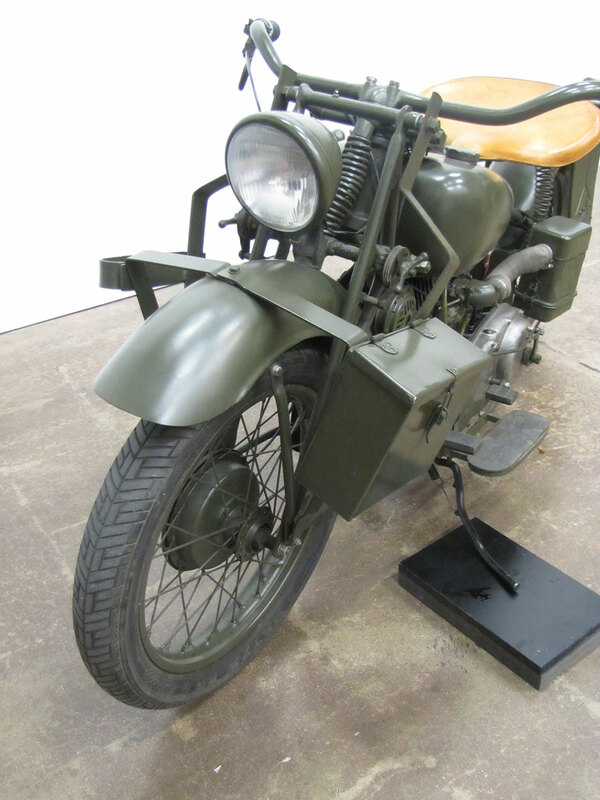 In fact, most agree that Indian’s total focus on building military bikes lead them to fully abandon their dealers who needed parts for the few police and civilian bikes still being ridden in America. 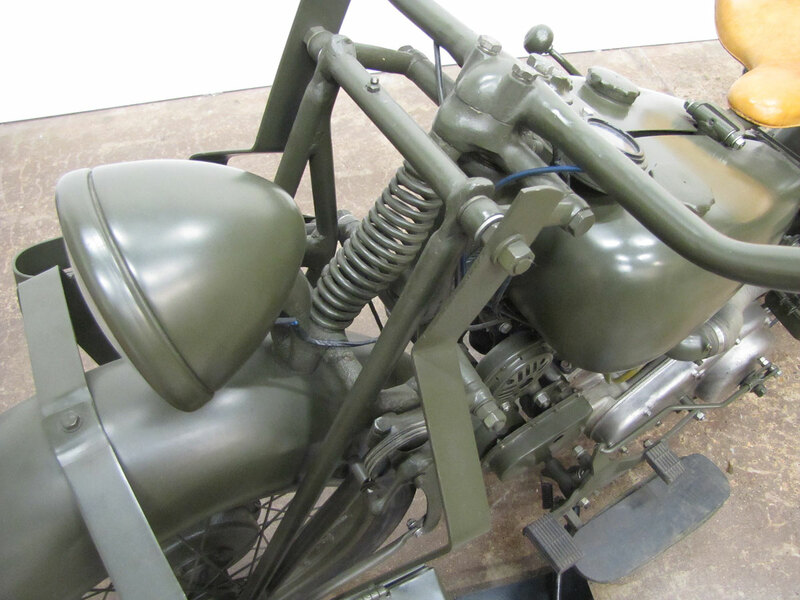 When the War was over, and Ralph Rogers took control, their dealer base had diminished, and another nail was in the coffin.